Since 1995 I’ve been an agent and representative working in the home furnishings sector throughout New England, New York and parts of Eastern Canada. Today my business is based in the Boston area and concentrates on the six states of New England. We represent upper-end to premium level manufacturers and distributors, working primarily with the interior design community, premium retailers, architects and other hospitality specifiers. We are especially familiar with custom work. 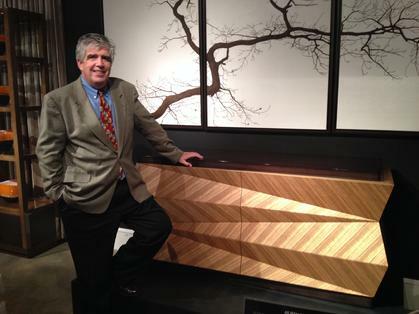 I started at Baker Furniture in Grand Rapids, and then through good luck was sent to Boston to build and manage that company's showroom at the new Boston Design Center. After several more years with Baker, I moved to Kittinger as VP of Marketing. Then I took a detour through grad school, coming out the other end as a sales rep. Not exactly the plan, but it’s worked well ever since. I’ve been with a variety of manufacturers and other resources over that time, developing a good perspective on most parts of the home furnishings business. Each customer relationship should be a partnership, and ultimately focused on fulfilling the expectations of the end user. I am eager to be useful in any way; let us know today how we can be a resource for your business.